In a previous YouTube video, I showed you how to use the Monogram feature on the Janome MC9400 to create words or phrases. Since then I’ve been thinking about projects to which I could apply these. I thought that it would be fun to create inspirational phrases or personal sayings and then stitch these onto a project, such as a purse or tote bag. Since I’ve recently been making easy pouches, I thought that stitching phrases on them would be a perfect way to personalize them. I discovered that there are several tips that you need to be aware of when you are using the monogram feature on projects. Decide what phrases or words you want to add to your project and create these in advance. If you don’t know how to use the Monogram feature on the Janome MC9400, check out this video. If you have another brand of sewing machine, check your manual for instructions on how to create and save phrases. Creating your words first saves time and ensures that you have already made any adjustments to size or spacing that you need to do so it will be perfect on your project. I always like to stitch the words or phrases out on the same type of fabric or material that you will be using in your project. Once you make sure that everything is looking good, you can store these words in your Janome MC9400 internal storage or on a separate USB. When I made my pouch I was actually stitching on a quilt sandwich – top, batting and backing – so I didn’t need to use any stabilizer as this was thick enough to support my stitches. If you are sewing on one layer of fabric, you will definitely need fabric stabilizer. Don’t skip this step - it makes all the difference in the finished result. When creating my pouch, I realized that there was no point in adding phrases to the bottom of it as this wouldn’t normally be seen. You could, of course, continue your stitching all around your project, but I didn’t think that this would be necessary in this particular case. By not stitching all the way around the pouch, I saved thread - and time! When you are making a project there will be seam allowances, so you need to take this into account when stitching. 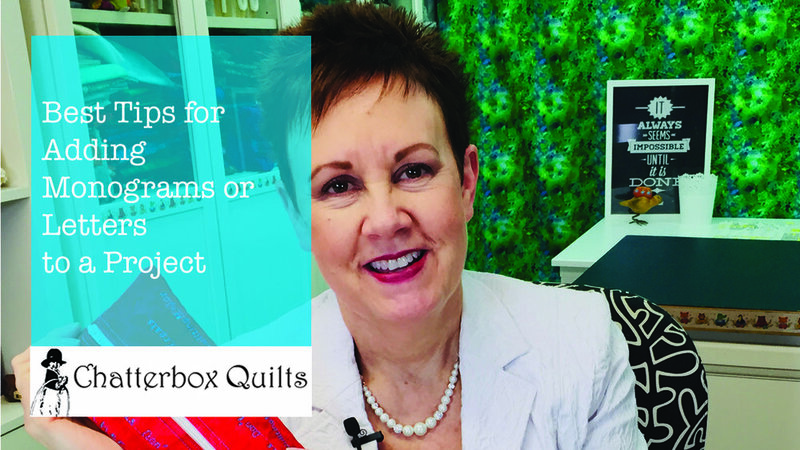 You want to ensure that your stitches will be on the project and not in the seam allowance. Decide the optimal spacing between your lines of stitching so you can ensure that your stitching will be seen on your project. Once you’ve determined this, mark your project with an erasable marker and ruler so you will have the same distance between each line of stitching. I like to use a Frixion pen for this, but any type of erasable pen will do. If your machine has a quilting guide bar, like the Janome MC9400 does, you could use this instead. For my pouch I used ¾” between each line of stitching. I found that using the walking foot and the AcuFeed Flex system on the Janome MC9400 worked very well for this application. It moved all the layers along evenly and ensured a smooth finish to the phrases. For more information on using the AcuFeed Flex system on the Janome MC9400, click here. Measure and record this for each of the phrases or words being used. You will need to know this when stitching onto your project. When I created my first pouch, I found that I could stitch some of the phrases more than once while others would only fit once across the pouch. If you are making a pouch, you will want the stitching to start on either side of the zipper and then go down the sides of the pouch parallel to the zipper. This will ensure an even look to the stitching on the project. This may not be necessary, depending on the project on which you are stitching, but consider it before you start stitching. 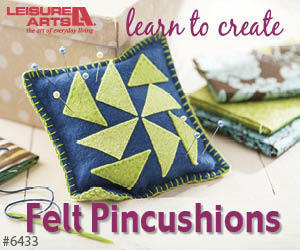 Regardless of the project, you will need to make a mark on it as to where each line of stitching should start. You will want the lines of stitching to be centred width-wise on your project, so use an erasable marker to mark where you will start your stitching. Click on the image below to watch a video on how I added monograms to a simple pouch project. It was really fun to use the Monogram feature on the Janome MC9400 to create personal phrases and then to stitch them on my own pouch. I think this would be perfect gift for your quilting friends. Stitch up a pouch, add some personalized monograms or phrases to it, and fill it with quilty goodness - which would include chocolate, of course!